Join Mickey Mouse and Minnie Mouse as they commemorate 25 years of Disney On Ice across Europe in an action-packed ice adventure that travels to four magical destinations! 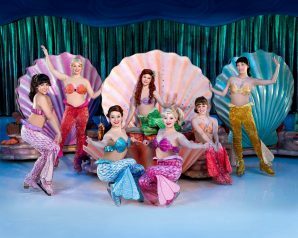 Disney On Ice presents Silver Anniversary Celebration will take audiences on a fun-filled tour of the imagination. 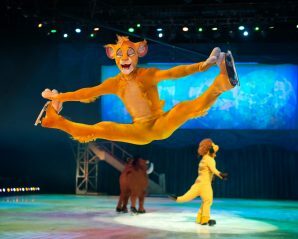 Disney On Ice invites you to embark on the ultimate sightseeing holiday with all your favourite Disney characters. Join tour guides Mickey Mouse, Minnie Mouse, Goofy, Donald Duck and Daisy Duck as they visit the magical worlds of Disney’s The Lion King, The Little Mermaid and Peter Pan. You’ll also be whisked away to the wintery wonderland of the number one animated feature film of all-time, Disney’s Frozen. 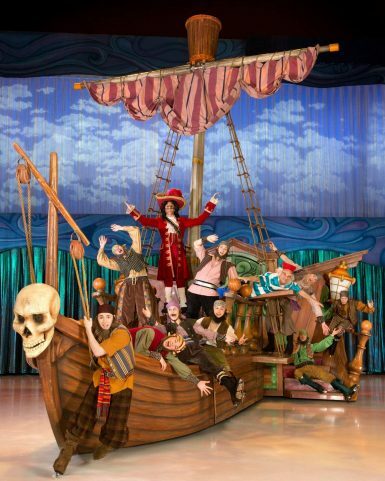 Told through an international team of award-winning skaters, exciting choreography and a musical score filled with familiar Disney hits and rock-and-roll classics, the whole family is sure to experience a captivating journey to far-away lands without ever leaving their seats! The arena will be filled with music and magic in every scene as you discover four unique landscapes filled with boisterous pirates, Caribbean beats and tender moments. Audiences will explore the African Pride Lands with Simba, Timon and Pumbaa; voyage deep under the sea to Ariel’s mystical underwater kingdom; and tour London with Peter Pan and Wendy before flying to Neverland to join Tinker Bell. Plus, travel to Arendelle for an extraordinary adventure with royal sisters Anna and Elsa, rugged mountain man Kristoff and everyone’s favorite huggable snowman, Olaf. 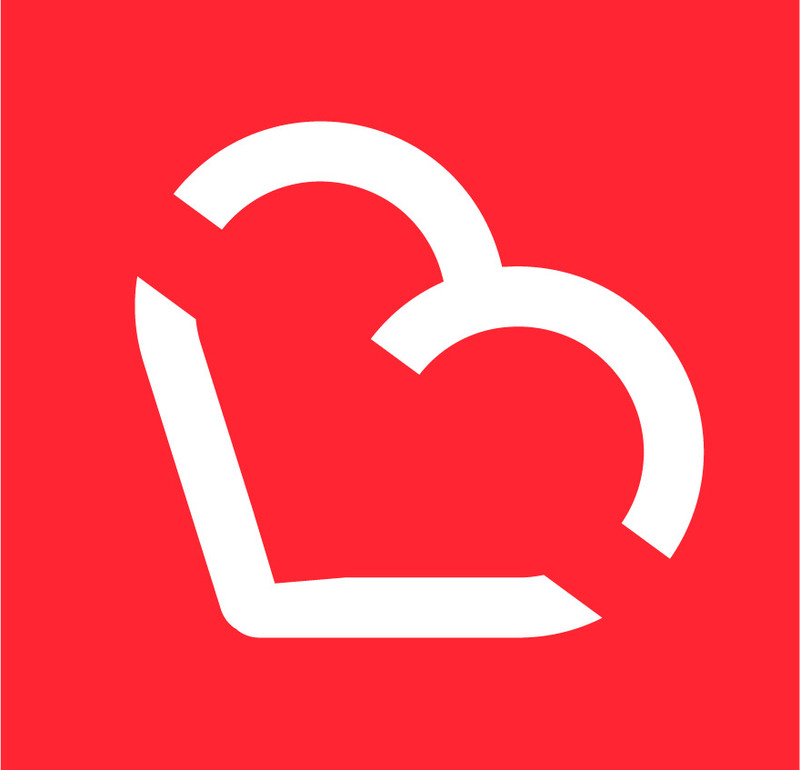 Jerry Bilik (Director) – Creative team member for 30 Disney On Ice shows; arranged music for a number of television series, including Starsky and Hutch and Charlie’s Angels; music coordinator for The 31st Annual Emmy® Awards. Patty Vincent (Director – Frozen section) – Directed numerous Feld Entertainment ice and stage shows includingDisney On Ice presents Frozen; began her career at Feld Entertainment as a skater and has advanced in the company to become the Character Development Director for all touring Disney On Ice productions. Additional credits include co-director of Playhouse Disney Live! and co-director of High School Musical Summer Celebration (stage show). Cindy Stuart (Choreographer) – Four-time Professional Skaters Association “Choreographer of the Year award” nominee and the 2014 Sonja Henie award nominee; collaborated with Olympic Gold Medalist Robin Cousins on multiple projects; choreographed for US Champion Gracie Gold, US Bronze Medalist Mirai Nagasu, World and Olympic Champions Xue Shen and Hongbo Zhao and Olympic Champions Jamie Salé and David Pelletier; choreographer for several Disney On Ice productions, including Disney On Ice presents Frozen. The Late Robert Smith (Production Designer) – Theater credits include the 2001 revival of Hair at the Wadsworth Theater; the world premiere of Bingo, an award-winning musical in Los Angeles and Stephen Sondheim’s Assassins and Dorian. Film credits include Session Man (Academy Award® winner) and Contact(Academy Award® nominee). Arthur Boccia (Costume Designer) – Worked 14 seasons as a top assistant to the late Don Foote, designer forRingling Bros. and Barnum & Bailey®; experience working on Broadway plays, film and television, including the Broadway revival of Pal Joey; designed costumes for 10 Disney On Ice productions. Patrick Dierson (Lighting Designer) – Lighting credits include the MTV Video Music Awards and the world tour of Shakira; received an Emmy® Award nomination for his work on the post September 11th musical telethonAmerica: A Tribute to Heroes.